The Glacik G-200 Freestanding SUP Storage Rack System has a maximum weight capacity of 180-pounds and stores up-to (3) SUPs or surfboards at once. This unit lets you store boards flat or on an angle and features removable arms for a space saving option when not in use. Intended for indoor or outdoor use, the G-200 has padded arms to protect your SUP from scratches and wear and tear. 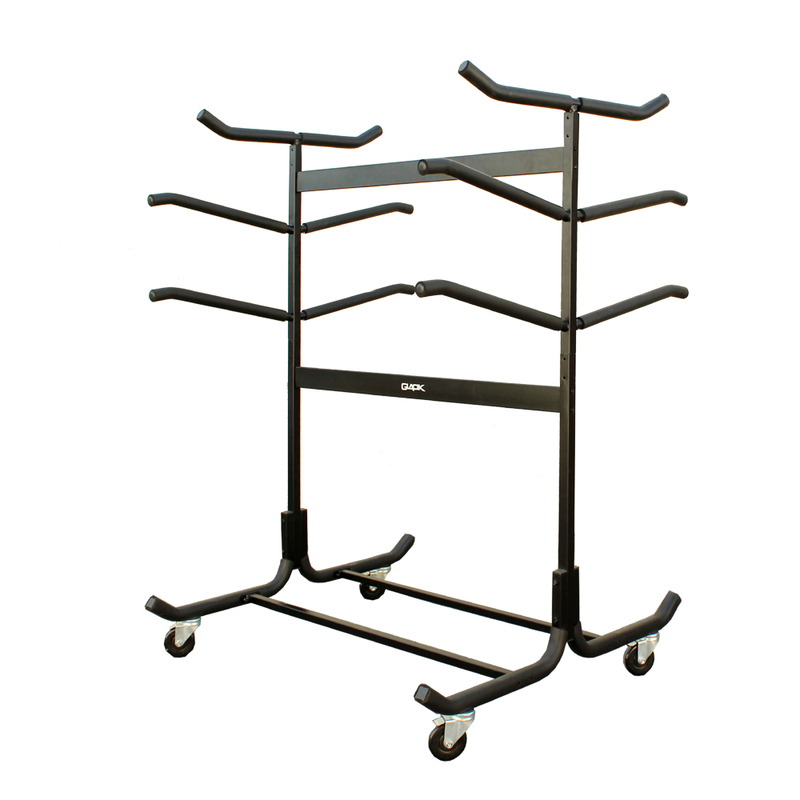 Unlike wall mounted storage solutions, this rack system assembles with no drilling or fuss and offers a freestanding SUP storage solution. Comes in a black finish and measures 48.5 in. (W) x 35 in. (D) x 40 in. Sparehand Systems is dedicated to innovation and simplicity and specializes in high-quality lifestyle and sports products. You may purchase caster wheels model # G-C4 (sold separately) to use on this product.